The quarters of the porters of the Dutch Residence. Published in the French publication Le Tour du Monde, in 1866 (Keio 2). 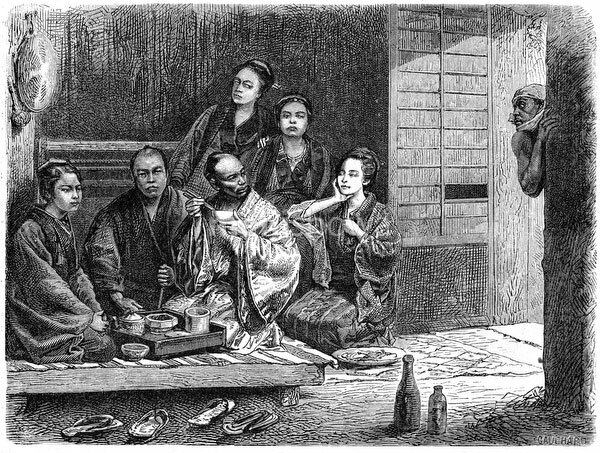 The illustration accompanied an article about Japan by Swiss diplomat M. Aimé Humbert who lived in Japan in 1863-1864.